Sanjay Leela Bhansali’s ‘Padmavati’ has been surrounded by controversies ever since the film’s shooting started. The situation just got worse after the release of the poster of the film. Though the poster was much loved and appreciated by fans and critics, it didn’t go down well with Rajput Karni Sena members. 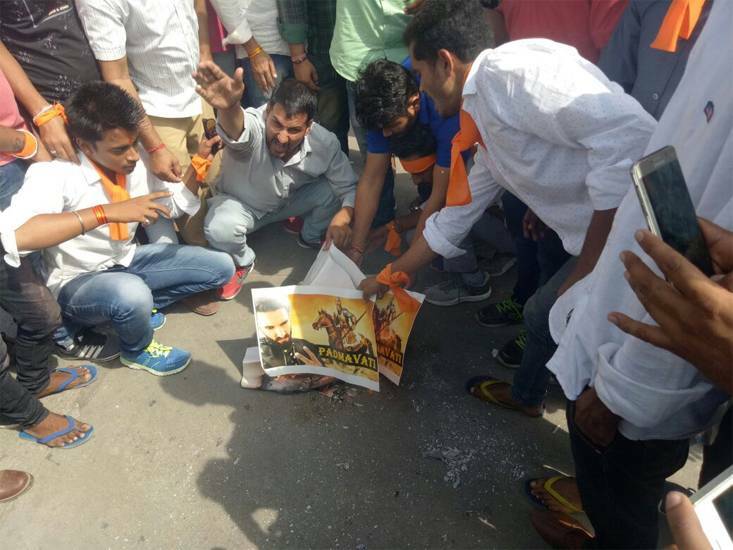 Soon after the poster of ‘Padmavati’ was released, they were set ablaze by members of Karni Sena in front of Rajmandir cinema hall in Jaipur. A huge protest was reportedly carried out against the film and its director Sanjay Leela Bhansali. The Sena members also set pictures of Bhansali on fire during their protest and accused him of distorting history. According to them, facts have been distorted to make the story of the film more interesting. They believe that nowhere in the history has it been mentioned that Allaudin Khilji was in love with ‘Padmavati’. As per reports, the protesters sought a special screening of the film for them before it is released in theaters. The film starring Deepika Padukone, Ranveer Singh and Shahid Kapoor in the lead roles has been shot mostly in Jaipur. During the shooting of the film at Jaigarh Fort, the set of the film was vandalized and Sanjay Leela Bhansali was attacked. 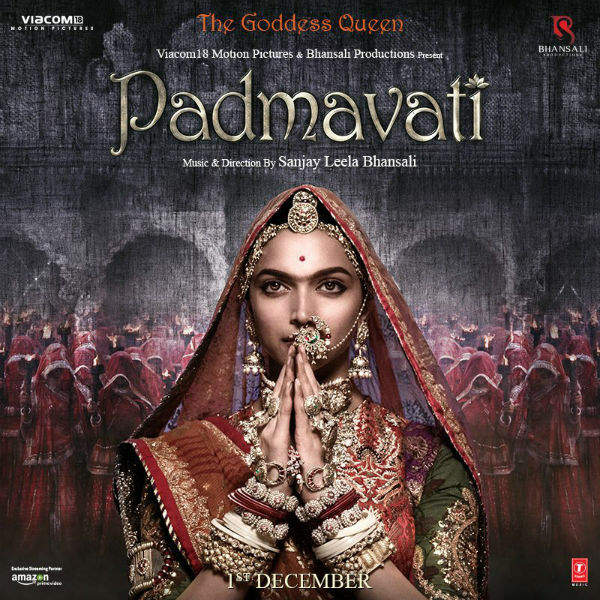 At that time, Karni Sena members had alleged that film ‘Padmavati’, which is based on the queen of Chittor, has hurt the pious character of Padmavati. They claim that there are love scenes between Padukone and Ranveer, who play Padmavati and Alauddin Khilji, respectively. Bhansali had however clarified that the film has no such scene and it was just a rumor. The Iconic ’90s Sushmita Sen Song ‘Dilbar’ Has Been Ruined By Nora Fatehi’s Remixed Version. Twitter Is Furious! Disha Patani Posts Next Installment Of Her Calvin Klein Pics, And Netizens Are Loving It! Suniel Shetty Advices Son Ahan Shetty Before His Debut. Here Is What He Said!